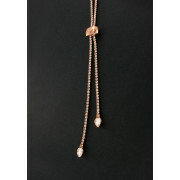 From Nour London, a beautiful tennis style necklace is set with a halo of sparkling clear crystals. 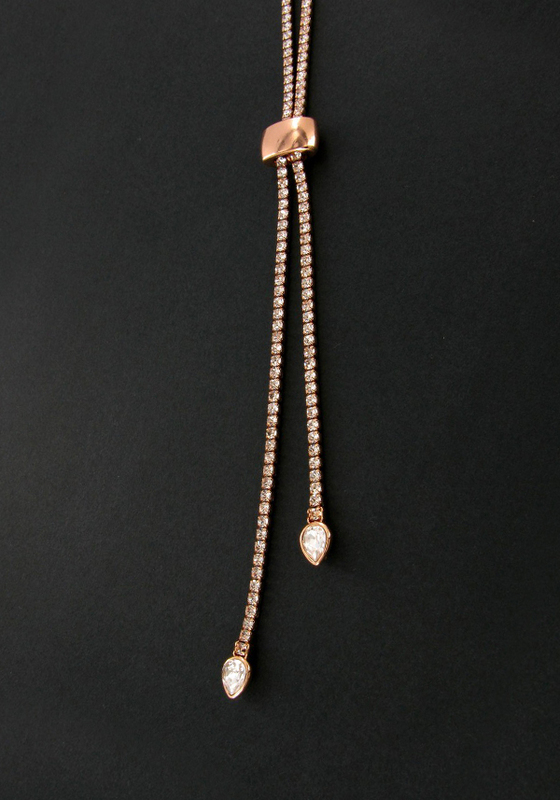 One size fits all, thanks to the sliding toggle, where two larger tear drop crystal dangle gently from the ends of this fully adjustable necklace. Matching bracelet also available.